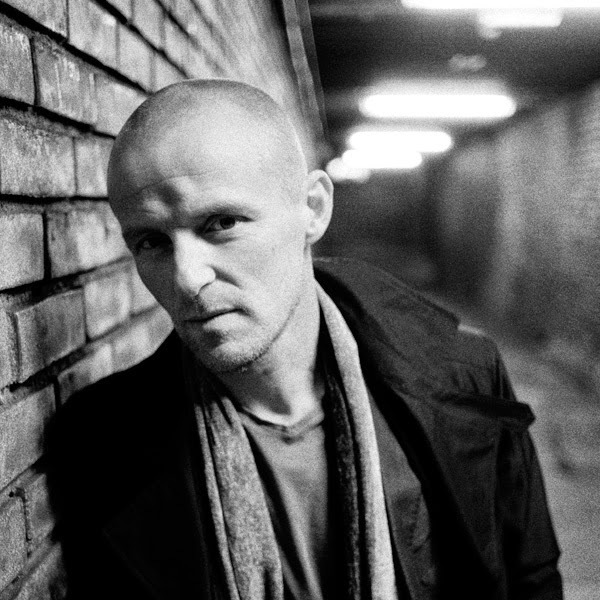 Jo Nesbø. Photo (c) Stian Andersen, source. You may have already spotted the answer among those seven books: he reminds me of Dostoevsky. Specifically, he reminds me of how Dostoevsky's characters think out loud about the contradictions and dilemmas they face, especially within themselves. 1. (or 2.) Some context, including at least a somewhat likeable detective. 2. (or 1.) The crime. 3. Collecting and sifting evidence. 4a. The detective's personal life gets in the way, or colleagues do. 4b. Or maybe the criminal speaks obscurely in italics. 5. Wrong suspect no. 1. 7. (Optional.) More wrong suspects. To tell you the truth, this is more than adequate to entertain me satisfactorily if the writing is serviceable. I'm always surprised by how pedestrian the writing is in the novels of highly-acclaimed mystery writers, but somehow I read the books anyway! Blood on Snow is a bit different. In Nesbø's opening scene, we meet the murderer on the job, so to speak. As he finishes up a contract, Olav explains to us why he chose this line of work, having failed at several others. "Driving a getaway car [for example]. I can drive fast, that's fine. But I can't drive inconspicuously, and anyone driving a getaway car has to be able to do both. They have to be able to drive so they look just like any other car on the road. I landed myself and two other men in prison because I can't drive inconspicuously enough." So Olav reports back to the contractor and gets another commission. This time, to his dismay, the target is the contractor's own wife. Of course, there is no way this is going to end well, but to get to the end we must walk along a typical Jo Nesbø path, meaning that we will become well acquainted with the family and relational factors that made Olav who he is -- all of which he tells us in his own modest, semi-detached voice. We will learn about his morality (yes, it does exist) and his loyalties (not very many!). It's not as complex a plot as some of Nesbø's novels. For one thing, there is no detective at all -- but by the end of this laconic tone-poem-in-prose, justice is nevertheless served, more or less. Now I'm just starting to read another Nesbø novel, The Son, in which we meet a corrupt prison warden, a veteran prison chaplain in the midst of an attack of conscience, and a heroin-addicted convict who is paid in heroin to plead guilty to crimes he didn't commit. I'm only a few pages in, and already the opportunities to hear his characters consider guilt, shame, and redemption seem unlimited. And as significant as these reflections will be, I'm confident that they will not slow down the plot. Aside from Jo Nesbø's many excellent Harry Hole novels, I can recommend another stand-alone Nesbø novel, Headhunters. As a pure plot-driven thriller, its characters may be less cerebral than Olav and Harry, but it's still pure Nesbø: human relationships are the surprisingly decisive factor. Transforming the World: Russian Avant-garde and Russian Studies at University of Oregon. Opening seminar tomorrow! How can you resist a title like this? ... Archbishop Visits Boiler Room to Explain the Dangers of Prayer. Bill Yoder on church relations in Ukraine: Cutting the Power Chord in Two. Labour doesn't get to win all its arguments, capital doesn't get to. But it's in the tension, it's in the actual fight between the two, that capitalism actually becomes functional, that it becomes something that every stratum in society has a stake in, that they all share. Dessert: Keith Richards and James Cotton rehearse "Little Red Rooster." Hooked. I just put Blood on Snow and Headhunters on my iPad. But I already know I enjoy Nesbo's books. Thanks for your reflections. They help me know why I enjoy him, beyond the exciting, sometimes quirky, plots. You're welcome. Headhunters was made into a film, too, one of the best thrillers I've seen. Film's Web site.